59.023 Red Admiral, the garden, Sept.10th 06. Feeding on last night's sugar solution. 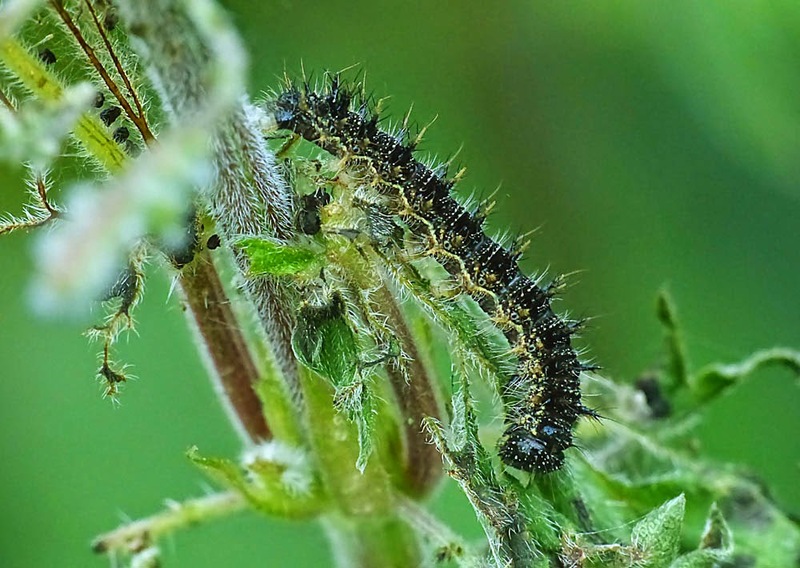 59.027 Small Tortoiseshell caterpillar feeding on Common Nettle, Skircoat Green allotments, June 16th 2014. 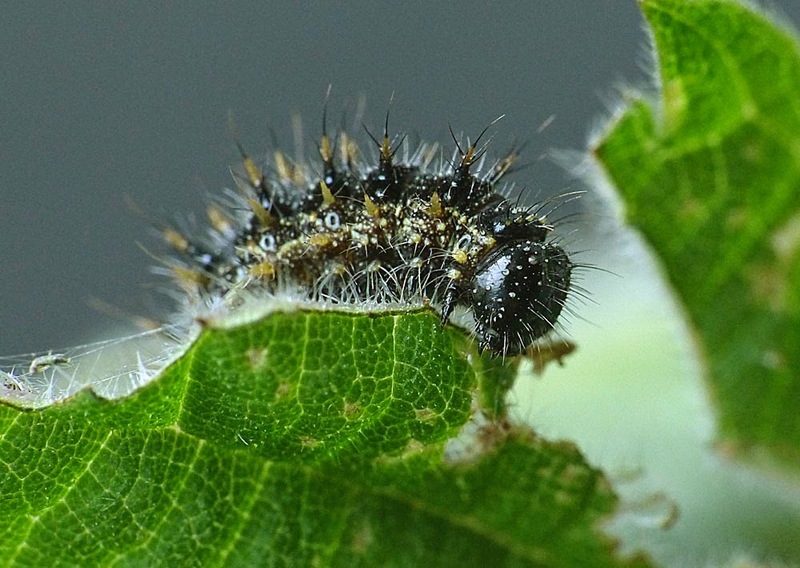 59.027 Small Tortoiseshell caterpillar in it's final instar, Skircoat Green allotments, June 18th 2014. 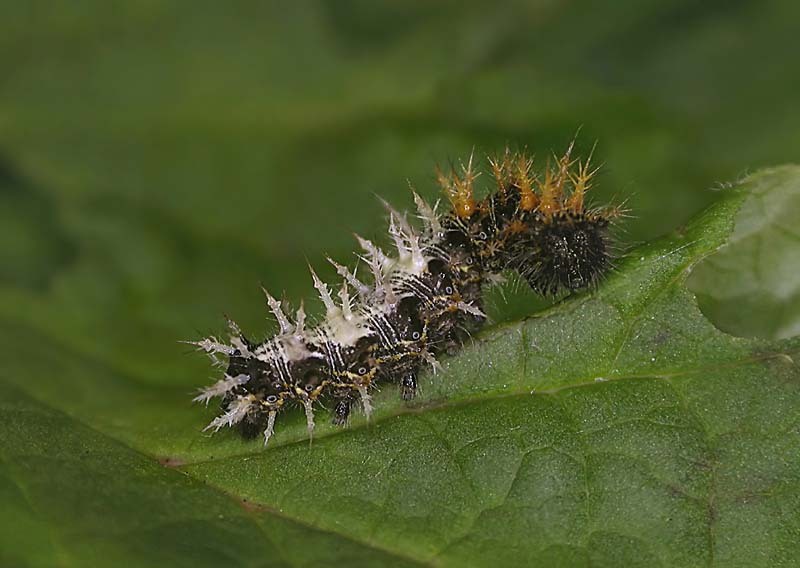 59.027 Small Tortoiseshell caterpillar, Skircoat Green allotments, June 18th 2014. After realizing that their hideout of spun leaves had been all but munched away they frantically search for pastures new. 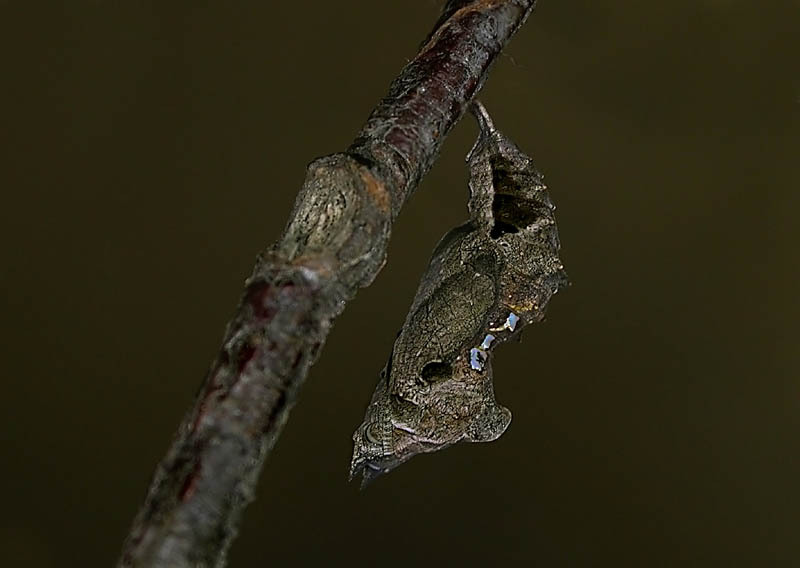 59.027 Small Tortoiseshell chrysalis, June 23rd 2014. Four of the above caterpillars were taken home to rear through and they soon pupated. Each chrysalis had a golden metallic sheen over various parts of the case - not too well demonstrated in this photo sadly. 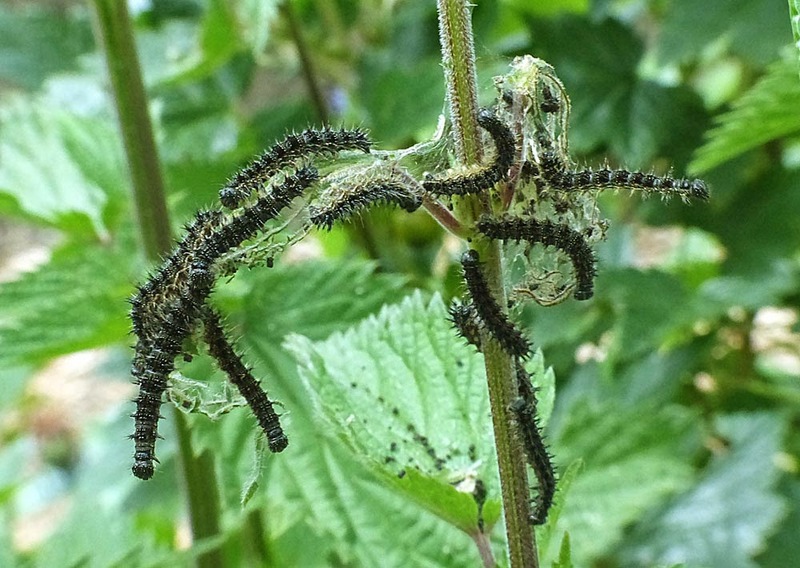 59.027 Small Tortoiseshell chrysalises, July 1st 2014. Eight days on and the chrysalises are on the verge of hatching. 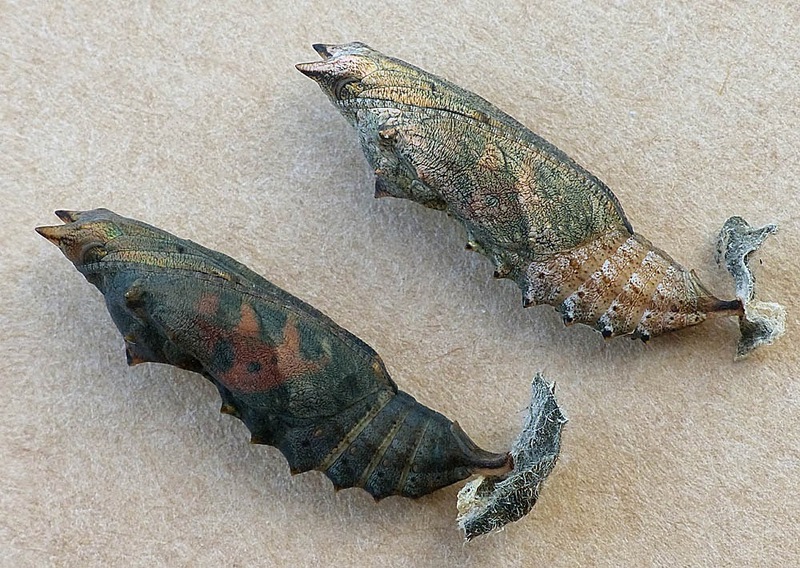 Remarkable structures of form and colour and a surprising variation of two chrysalises of the same age. 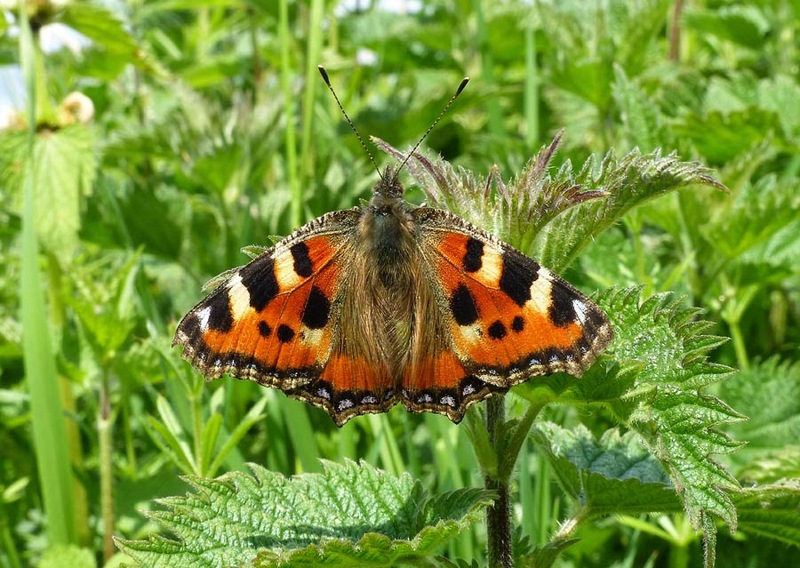 59.027 Small Tortoiseshell, an egg laying female on Common Nettle at the old sewage works, West Vale, May 6th 2014. 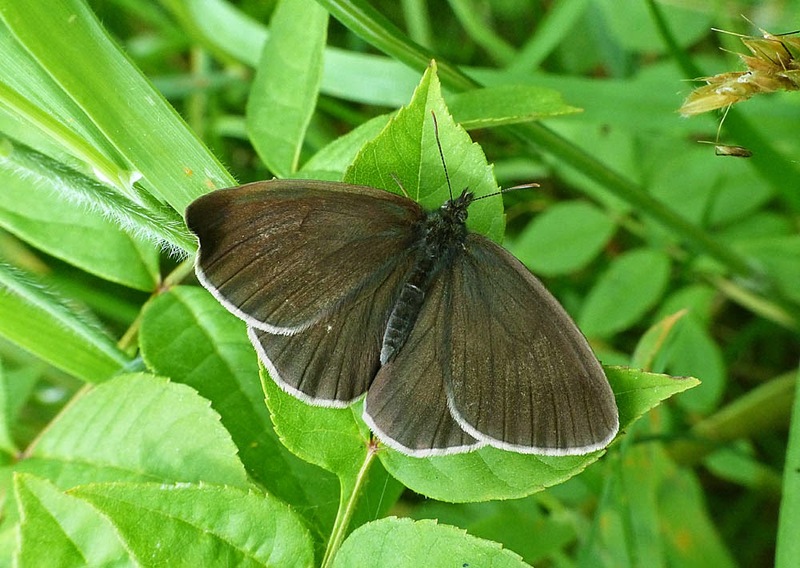 You can just make out the gap between the wings where the tip of the abdomen usually sits. 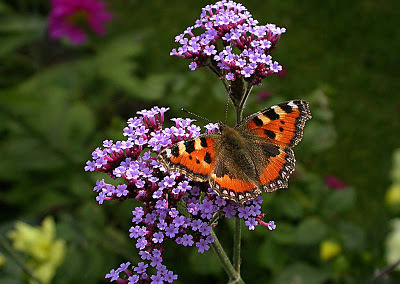 59.027 Small Tortoiseshell, the garden, Sept.22nd 2010. Nectaring on Verbena, which is an excellent plant for attracting late summer species such as Comma, Small Tortoiseshell, Painted Lady and Red Admiral. 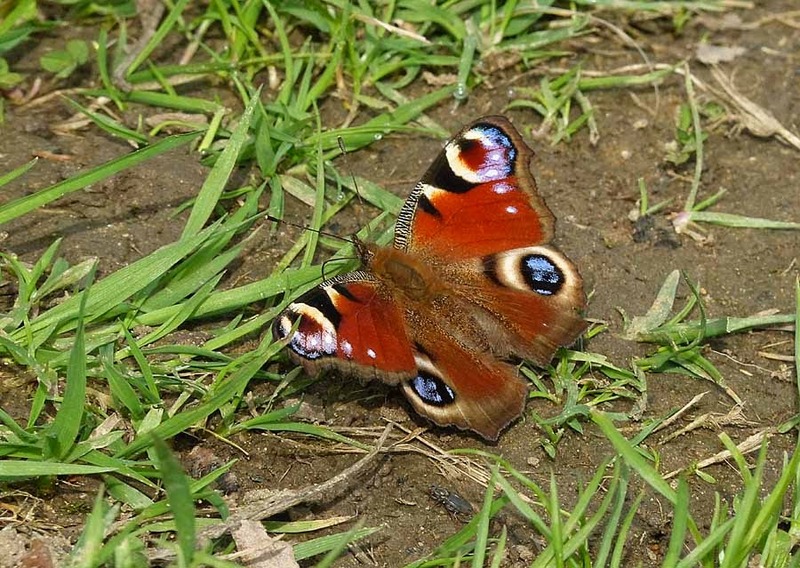 59.026 Peacock sunning itself on a bridle path near Norland village on Apr.28th 2014. 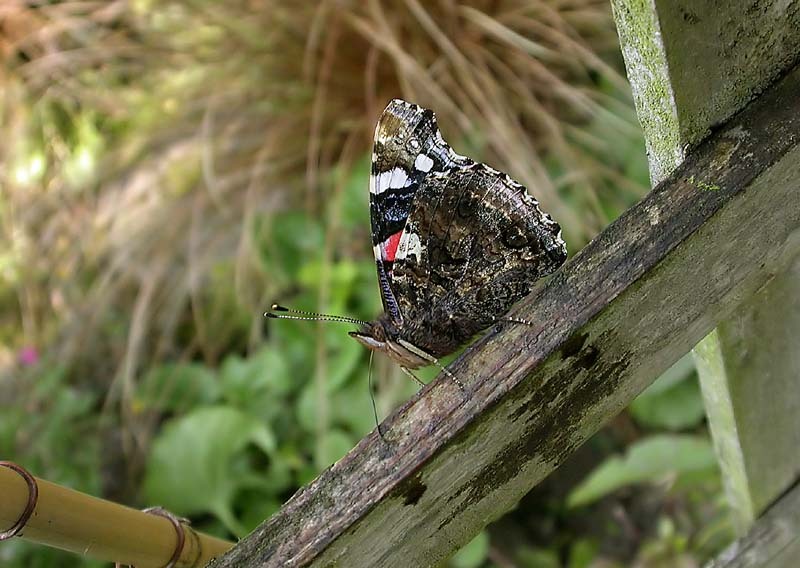 Without doubt one of the most photogenic of all British wildlife. 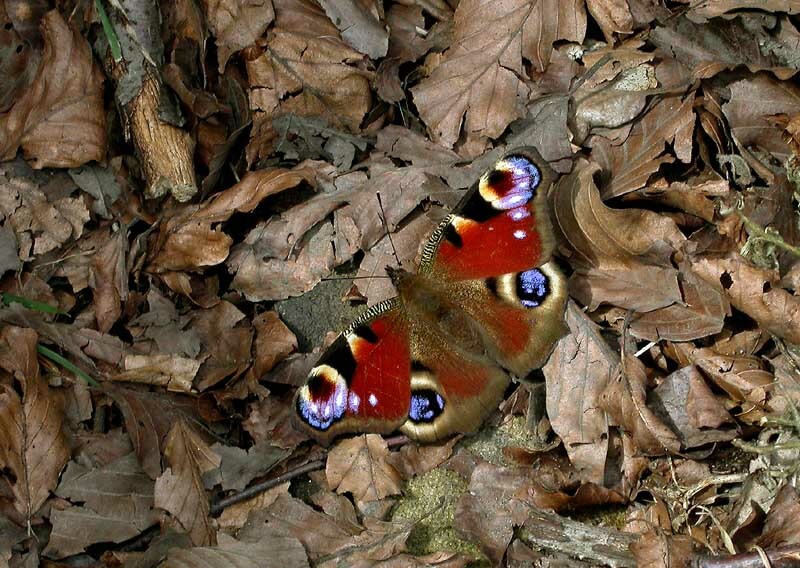 59.026 Peacock, Bankhouse wood, Apr.29th 06. 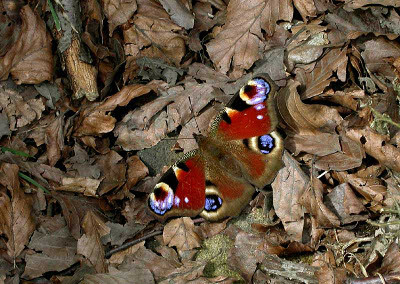 Basking on Beech leaf litter. 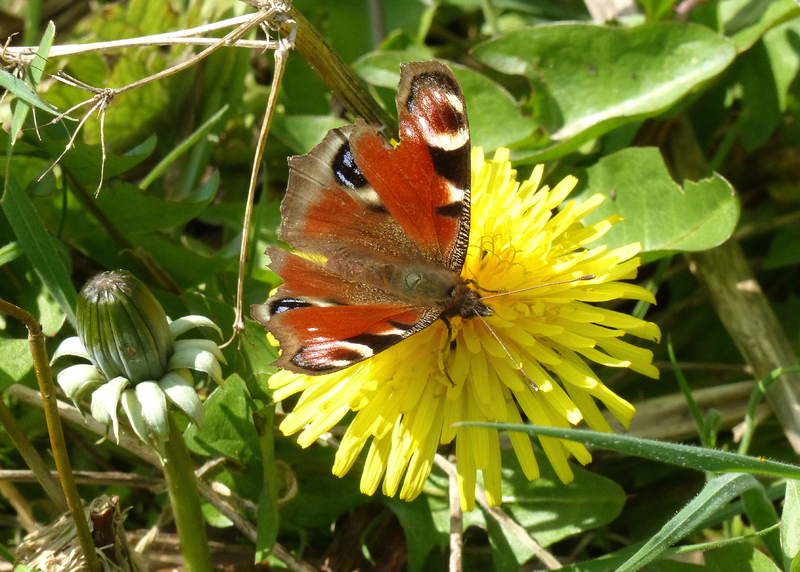 An adult sunning itself on Skircoat Green allotments on Feb.4th 2014 was my earliest butterfly ever and it wasn't even that warm!? 59.026 Peacock nectaring on Dandelion at Bankhouse wood, Mar. 28th 2019. 59.031 Comma larva found at Skircoat Green allotments on gooseberry, May 30th 09. Also found feeding on Red Currant at this site. 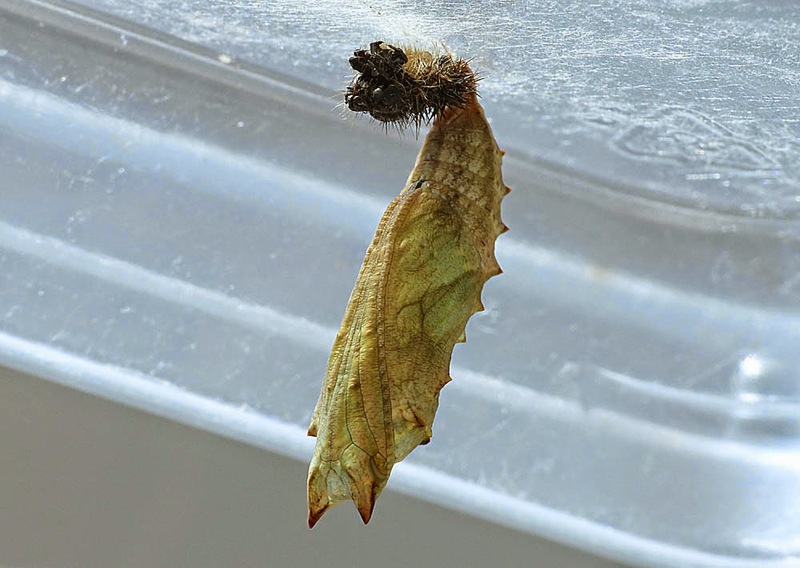 59.031 Comma pupa, June 6th 09. Reared from the larva above. 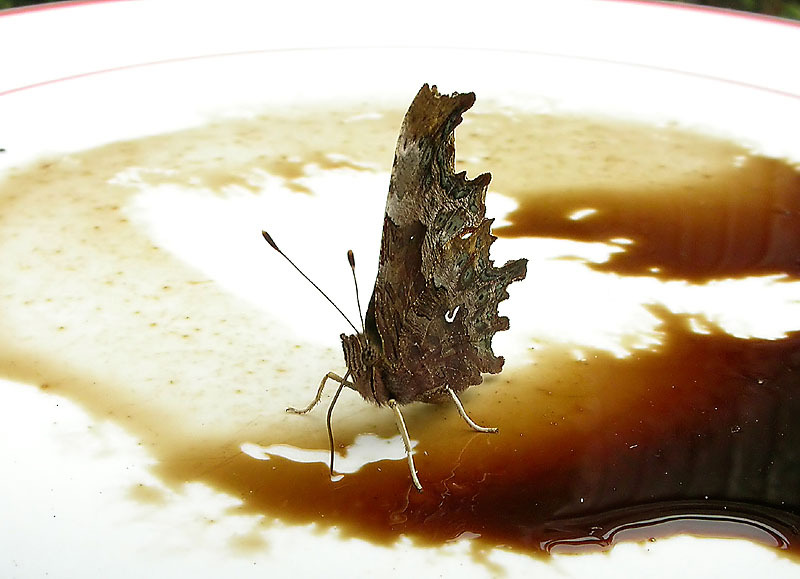 59.031 Comma freshly emerged, June 15th 09. 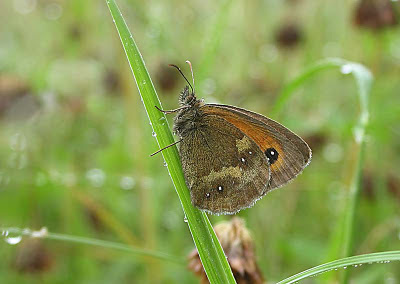 The finished article showing the small, white mark on the underside which gives this species its name. 59.031 Comma, North Dean wood, Sept.7th 06. 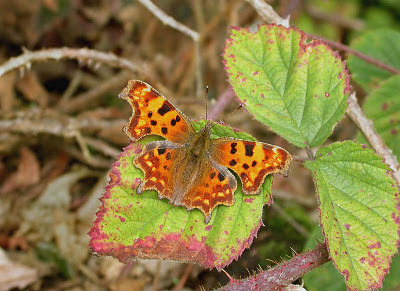 Basking on Bramble. 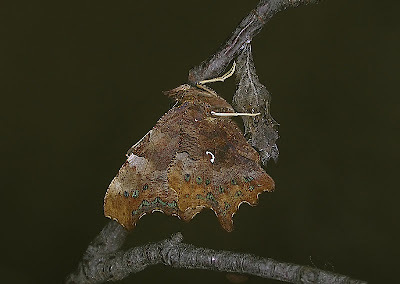 59.031 Comma feeding on last night's sugar solution, the garden, Aug.8th 06. 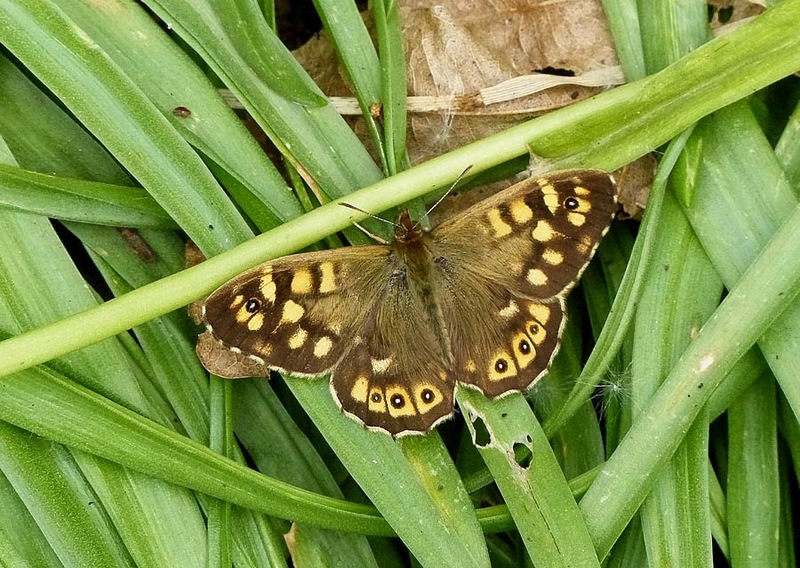 59.003 Speckled Wood , Bankhouse wood, May 4th 2014. Basking in the sunshine. 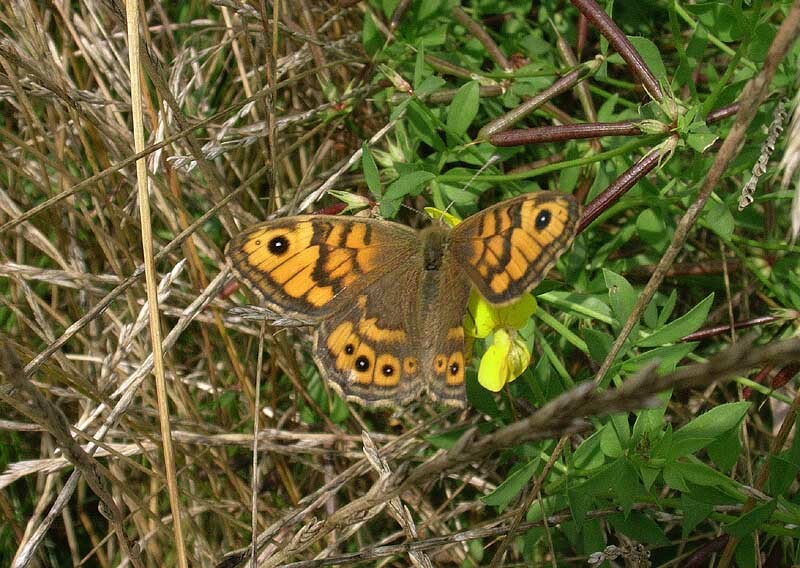 59.002 Wall Brown, Callis Mill flood plain, Hebden Bridge, Sept.3rd 04 on Bird's-foot Trefoil. My only other recent record of this (fast?) declining species was at North Dean meadow on May 31st 05. 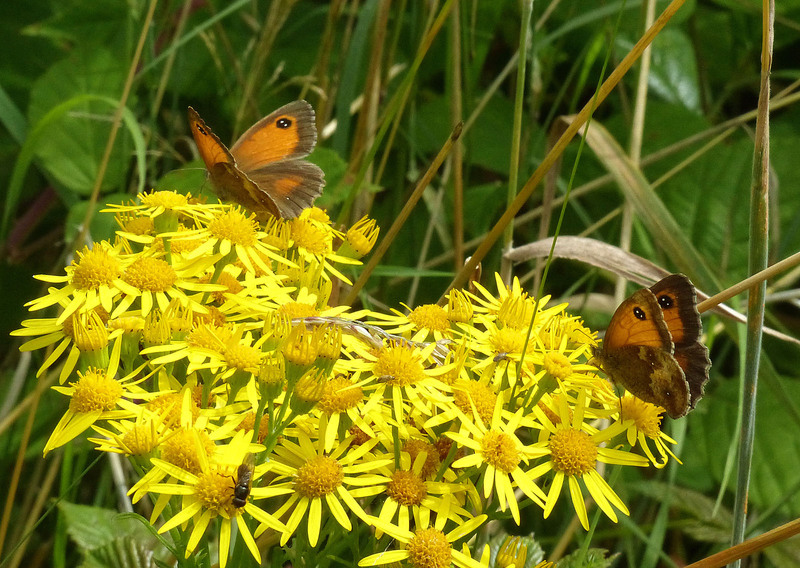 59.011 Gatekeepers feeding on Ragwort at All Saints' graveyard, Skircoat Green, July 30th 2017. 59.011 Gatekeeper, Tag Loop, July 28th 2010. A field observation in the steady drizzle. 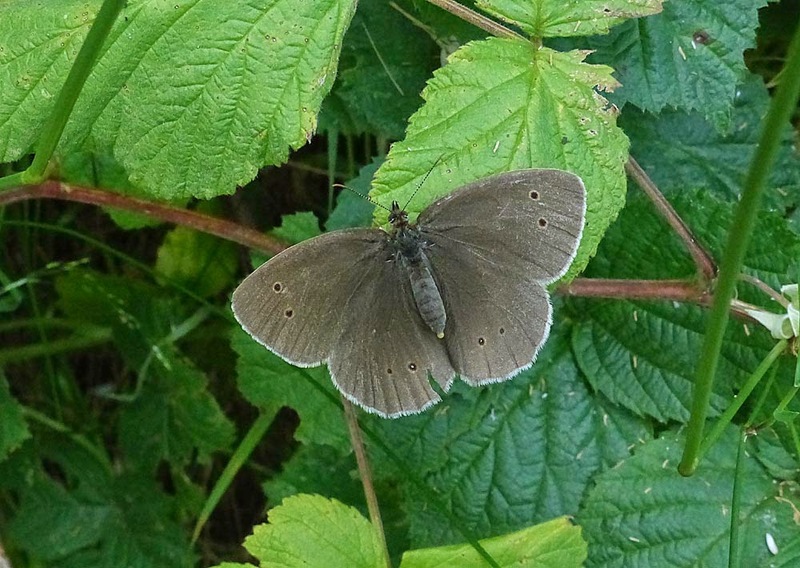 59.009 Ringlet at a bridle path near Norland village, July 3rd 2014. 59.009 Ringlet (ab. caeca? ), All Saints' cemetery, June 26th 2014. A common butterfly here with lots gently fluttering about the grassy areas. 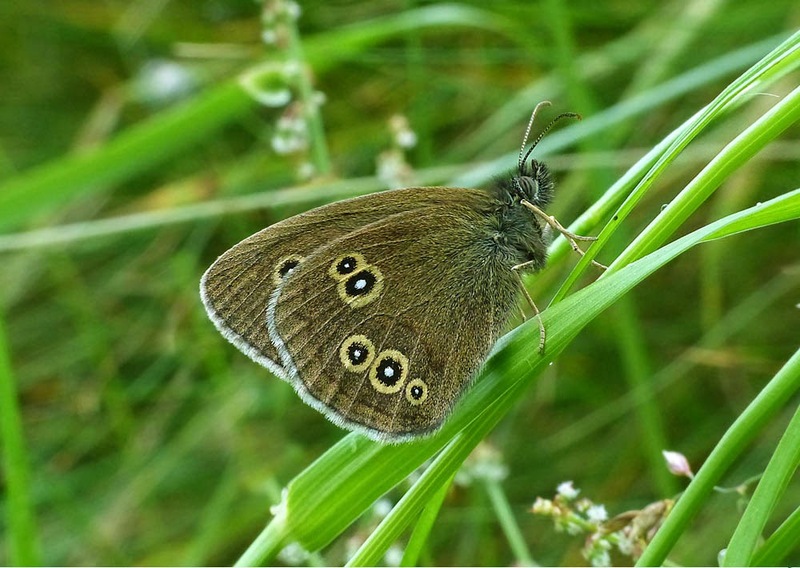 59.009 Ringlet, the towpath at Elland By-pass, June 30th 2013.